Enjoy Barbara Brown Taylor's Books? Tell us Why and Win a Free Book! Welcome to Barbara Brown Taylor's BookGorilla Author Page! 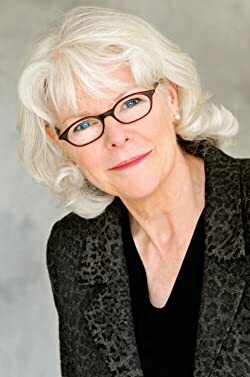 We're working hard to bring you the best deals ever on Barbara Brown Taylor's Kindle books. If you’re a Barbara Brown Taylor fan, we'd love to have your help in making this author page special. Tell us, in no more than 150 words, why you think Barbara Brown Taylor is great. Use this webform to send us your submission, and if we select yours we'll offer you one of Barbara Brown Taylor's books or a Kindle Gift Card as a free gift! Thanks! Please enter your email address and click the Follow button to follow Barbara Brown Taylor! In this new collection of sermons she summons with piercing clarity and wit the Old and New Testament stories that have the power to mend our spirits, strengthen our weaknesses, and restore us to wholeness. In this selection of new sermons, Barbara Brown Taylor walks us through the church year, from the expectancy of Advent to the fires of Pentecost and beyond. In her bestselling preaching autobiography, Barbara Brown Taylor writes of how she came to be a preacher of the gospel as a priest in the Episcopal Church. Bread of Angels contains twenty-nine sermons about God's providential care, as symbolized by the manna given to the Israelites as they made their way through the wilderness. In Speaking of Sin, Barbara Brown Taylor brings her fresh perspective to a cluster of words that often cause us discomfort: sin, damnation, repentance, penance, and salvation.